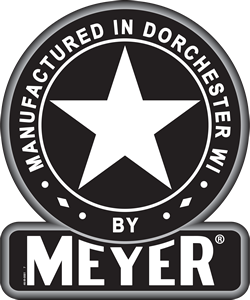 Meyer "P Series" Dolly Wheel Bunk Feeders are available in 3 sizes - 20', 24' and 30'. They feature a unique adjustable cable system to prevent waste and feed more cattle per running foot. This system also makes cleaning your feeder much easier! As a bonus, the sides of all models fold down for conversion into a bale hauler. You won't find a more effective, versatile feeder for the money! Meyer Bunk Feeders are available in 3 sizes to meet your needs. The 20'-P200 is a single axle unit, 24'-P240 is available as a single or tandem axle while the 30'-P300 is a tandem only. Galvanized insert packages are available for feeding chopped green feed, haylage, silage or ground feed. They can be easily removed for feeding round or square baled hay. The cable system is adjustable to match the livestock size. It encourages animals to keep their head in the feeder and reduce waste. Easy Cleanout - Feeds More Cows too!! This open concept design provides less injuries to animals as they are able to slide side to side as more animals enter the feeder. You can feed more animals per running foot than slant bar designs too! Clean out is much easier. This oscillating tandem axle is standard on the 30' P300 and optional on the 24' P240. This reinforced rear axle creates a "bridge" system for added strength (single axle in photo). 6 bolt hubs & wheels are featured. The hitch features a telescoping design for easy hookup. Swings up and chains in storage position when feeding! The "Feeder Pan Only" option allows easy filling using your TMR mixer or delivery box. 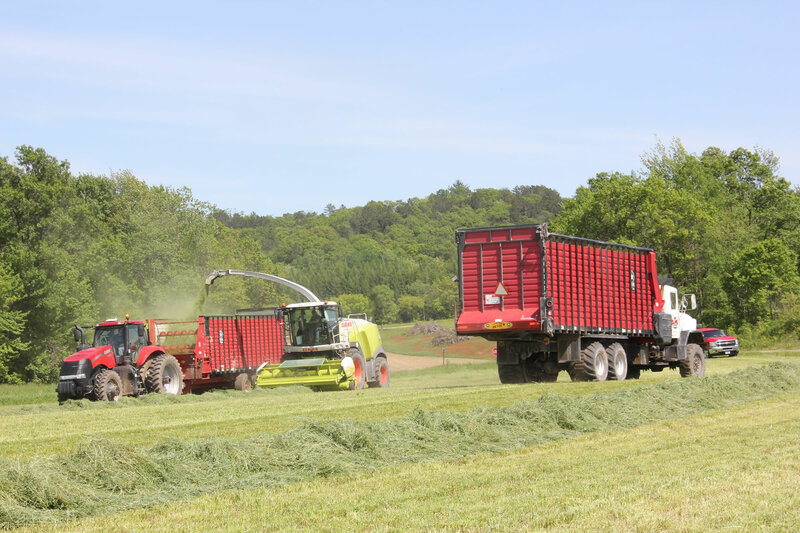 This patented system allows you the ability to remove the front and rear panel, fold the sides down and install cross bars (optional) for round and square bale hauling. Now that's versatility! Multi-Purpose Feeder saves you $$$$$! 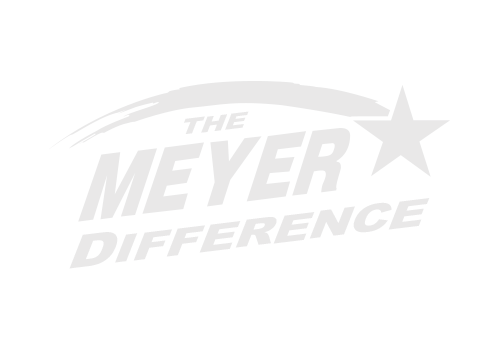 Meyer does offer removable slant bar packages in lieu of the cable system if desired.